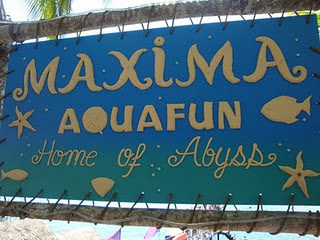 Maxima Aqua Fun may lack the white sandy beach for which Samal Island is famous for but it is home to the first giant tarpaulin water slide in the country and host to several other fun-filled water sports activities like swimming, jet skiing, scuba diving, snorkeling, kayaking, banana boat ride, water trampoline, and even fishing. The Resort is well monitored by several lifeguards always on-watch and life vests are a must for all users of the water sport facilities. 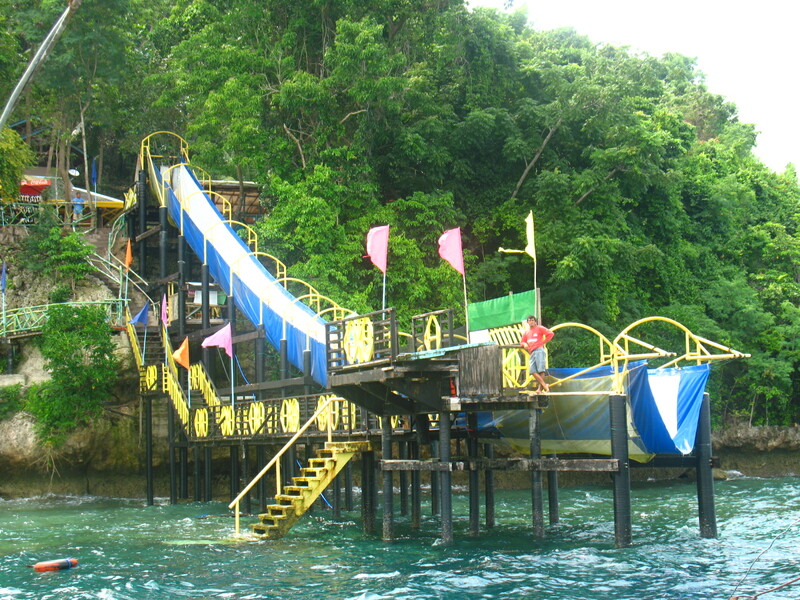 The Resort was once a family-owned private property owned by the same group, the PSD Group, who gave us the Davao Crocodile Park, the Davao Butterfly House, Zip City and many other eco-adventure parks, but the owners eventually opened it to the public as an adventure park by the sea. 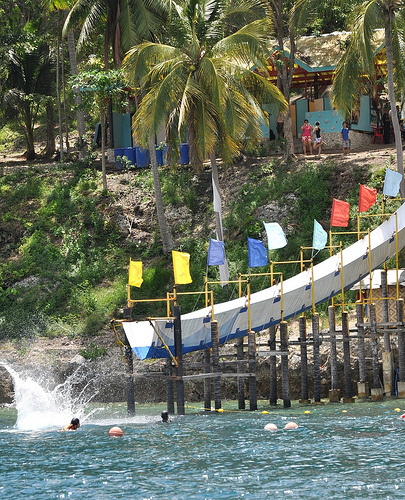 The giant water slide is the main attraction of Maxima. 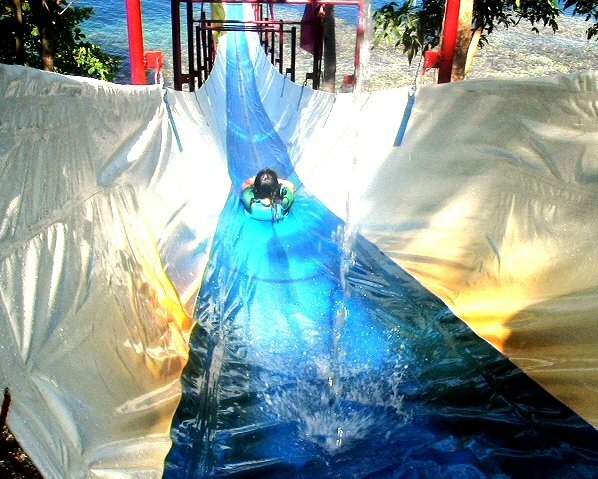 It is made of canvass material about 40 meters long, and a meter wide and it usually takes some six seconds slide from top to water splash right into the sea. The drop off to the sea is five feet during high hide and 12 feet during low tide. Maxima is also known for its Eagle View Canopy Walk where guest can walk on a hanging bridge high above the grounds. 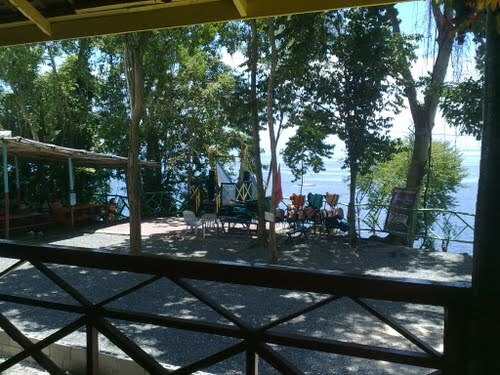 It gives a great view of the Resort and the blue waters of Davao Gulf. 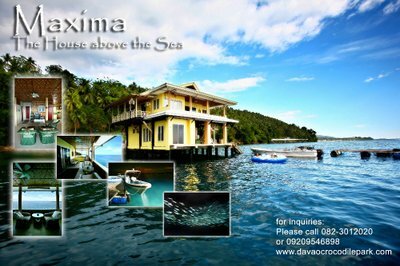 For overnight stay, Maxima has a fully furnished 2-storey beach house that sits securely on heavy stilts above the seawater, and is furnished with four bedrooms which can accommodate up to 22 guests. 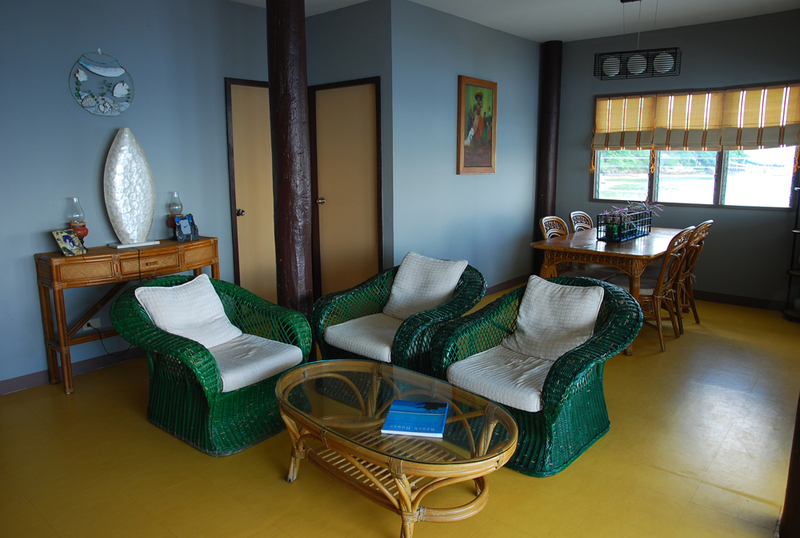 It is complete with living room, dining room, three toilets and baths, a kitchen with a refrigerator and cooking facilities, and an audio-video component. A butler service is also available. The Beach House is also used as a venue for small business functions and social events like private parties, gatherings, etc. 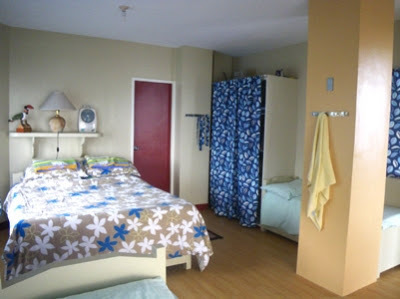 Onshore, Maxima also has a big accommodation called "Bigote Dormitory" that can accommodate up to 20 guests. It is also complete with facilities and provides a magnificent view of Davao Gulf and the majestic Mount Apo. Maxima is about 45 minutes by motorized boat from the Sta. 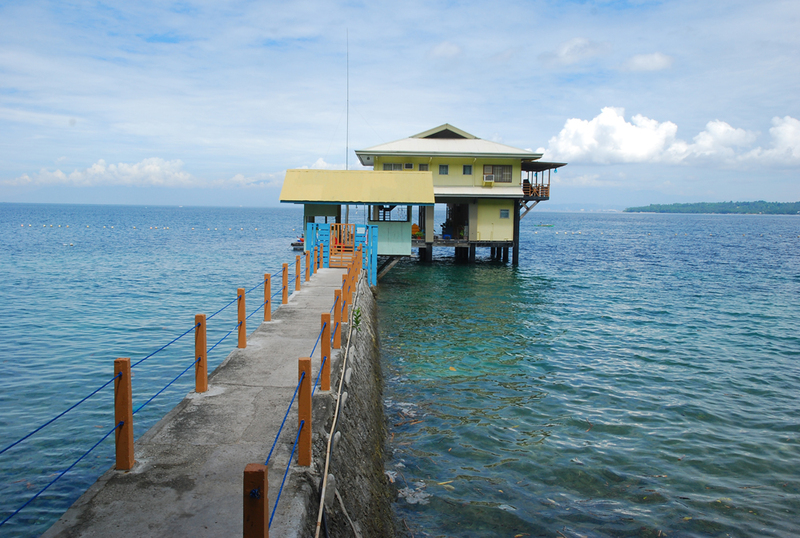 Ana Wharf beside the Magsaysay Park in Davao City. 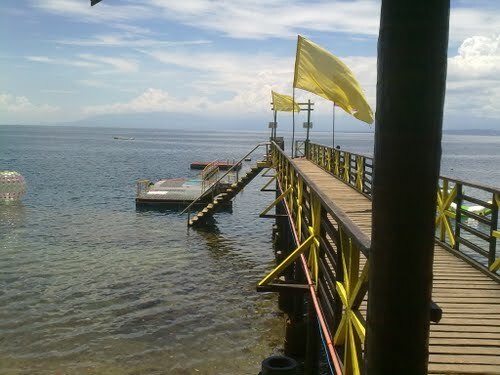 The Resort has its own boat which leaves at 9:00 AM, Wednesday to Sunday.